Fire phone represents an incredible opportunity for HTML5 developers to create new experiences. Developers now have direct access to the hardware sensors that power Fire’s Dynamic Perspective, which opens up all kinds of new ways to let users interact with your web app content. Just like native devs, Fire phone’s four dedicated cameras offer x, y and z data that you can access directly to determine where the player’s head is looking at the screen, and shift the perspective to reveal new angles on what would have otherwise been a flat web page. Here you can see a standard splash screen for a game where the main player will float up and down, giving the scene some sense of motion. The start text also blinks to let the player know what action they should take. This will start a local server and open up your browser to http://localhost:8080. Now we have everything up and running to build our Phaser splash screen. 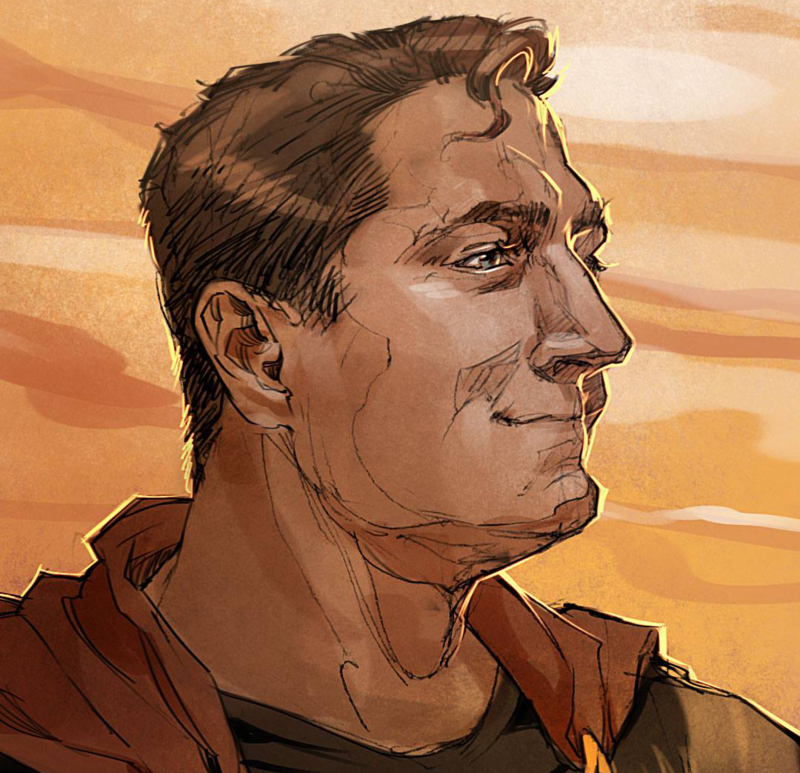 Just download the artwork from here. 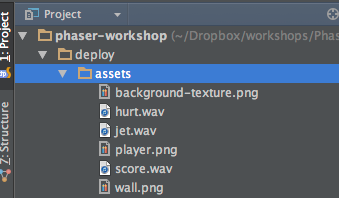 You’ll need to create an assets folder inside of the deploy directory of the Phaser Project Template. Once that is created, put all of the artwork you just downloaded into it. One note: if you are using WebStorm, you will want to exclude the deploy/js folder from the Directories setting so you don’t have any performance issues as our grunt script automatically rebuilds the JS code for us. Step 1. Let’s create a clean slate to work from by opening our main.js file in the src/game folder of the Phaser Project Template. 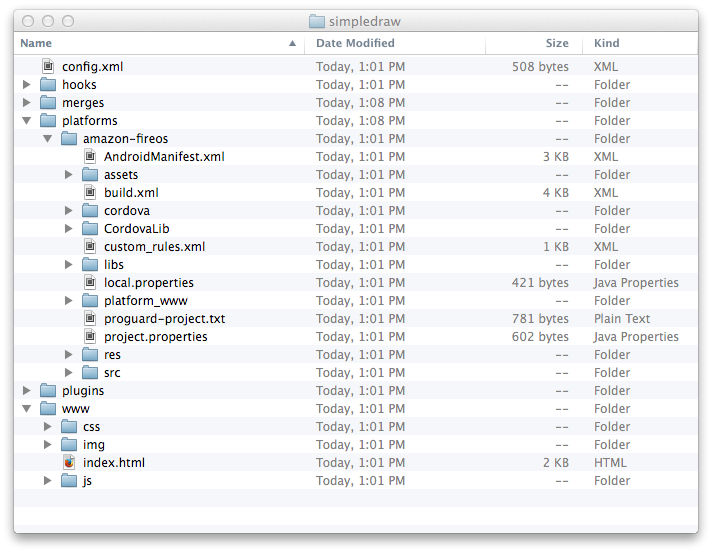 Once you have it open, simply delete all the boilerplate code in that file. Here you can see we are simply loading everything up as an image with the exception of the player, which will be animated. That means we can use the dedicated sprite sheet loader. This will calculate where we will center the background image. We’ll also save out the value for the background in order to use it as a reference point later on. Here you can see we are setting up our player as well as creating and setting a fly animation. We also save out our player’s start position, which we will use later on when we start modifying it based on the Dynamic Perspective code we’ll add for Fire. Here we add the background mask, the title and the start text. While this is really easy to setup, it looks a little boring. Let’s add some animation to it. This code will make the player float up and down as well as make the start text blink. You can test this by refreshing the browser again. At this point, we have our entire splash screen laid out. Let’s talk about how to set up the Web App Tester on Fire phone to get our splash screen ready for adding the Dynamic Perspective APIs. Just like you can currently do on the Kindle Fire, you’ll need to download the Web App Tester on the Fire phone for this next part of the tutorial. You can get the latest build from the Amazon Appstore here. Step 11. Once you have the Web App Tester installed, you’ll want to look up your computer’s IP address. Step 12. When you have the IP address, you can enter that into the URL field and save it. As you can see, the process for installing and testing hosted web apps on Fire phone is straight forward. We’ll be using the Web App Tester and Fire phone for the remainder of our tutorial to make sure we can properly test the Dynamic Perspective APIs. Here we are going to store the x, y values for the Dynamic Perspective x and 7 axis, whether facial detection is working, and a scale factor to help us manipulate the raw data into something more manageable. 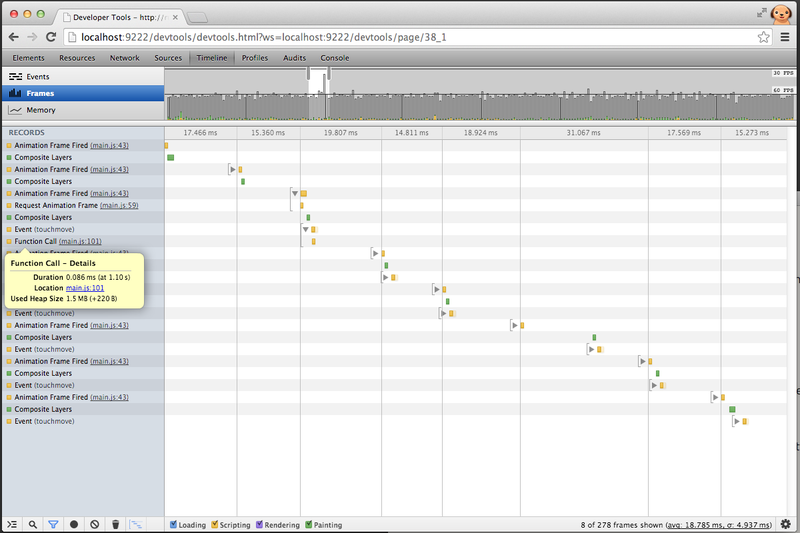 As you can see, we’ll be using a standard event listener to implement the Dynamic Perspective APIs in our web app. This will save the head tracking position values into our global variables that we set up previously. You’ll also see that we are dividing it by our scale to reduce the value a little so we don’t see large x, y values shifts since the original artwork is being scaled up to 1280 x 720 from 854 x 480. Remember that the data returned is relative to the size of the phone’s renderable screen area - not your game - if it’s up-scaled like we are doing here. You may want to modify these factors by the games scale factor instead. Here I am simply dividing them in half. Here we are using a method called clamp() which is part of the Phaer.Math lib. We supply our Dynamic Perspective x and y values along with a limit so it stays within the specified range. One thing to note is that since this splash screen is designed to run in landscape we need to swap the Head Tracking x and y values since they don’t change based on the phone’s orientation. Now if you run the game on Fire phone and look at the device as well as move it around, you’ll see the background now subtly shifts in response to your head movement. Now we are modifying the player’s x position and adding the newPoistionY to the end of where we calculate the up and down value to create some additional movement along the Y position. You may also notice that we are not dividing the new x and y values by 5 like we did in the background. This allows us to give the layers a parallax effect so that the background will move at a slower rate. Step 19. Run the scene again on Fire phone and you’ll see the final effect. Simply put in the URL for your web app or game with the Fire phone code and click the verify button and the tool will let you know if the contents of the URL pass the preliminary submission requirements. Once your URL has been verified, you can select your app’s permission. Simply check off the options that apply to your app. Then you can define which devices this web app can be published on. While the Kindle Fire HD, HDX and Fire phone devices offer the best performance for web apps, make sure you test your web app on older devices to ensure the performance is ideal for your users. Intensive web games and anything using WebGL should be distributed on Kindle Fire HD and above. While you can install web apps in the Amazon Appstore on any Android device that has the store installed, it will default to the native WebView on that device. This means that your app will not have access to the Dynamic Perspective APIs on other Android phones. Finally, certify that have the necessary rights to publish your web app. As you can see, not only can you easily publish HTML5 apps and games alongside native Android apps through the Amazon Appstore, you also get access to the Fire’s Dynamic Perspective API just like native Android apps do. So be sure to submit your app to the Amazon Appstore to tap into millions of potential new customers. Right now our game isn’t very fun or challenging. To help with this we’ll add walls with a small gap in the middle for our player to fly through. 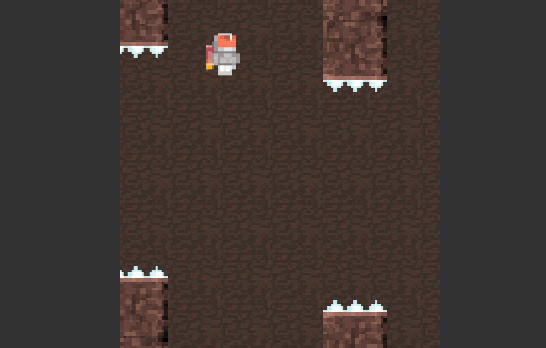 To get started, we’ll need to create two functions: one to spawn a wall and the other to put two walls together with the gap for the player to fly through. This function accepts the y position for the wall and if it needs to be flipped vertically. This is important since we will be using the same wall graphic for our top and bottom wall sprites. We’ll need a way to group them together into a single manageable game object. It’s important to create this after our background so it shows up on top. Now we’ll be able to access each of the wall sprites in our game from a single group which we are calling walls. This will make a little more sense later on when we add in collision. This disables gravity for the wall. Then, we set the y scale to -1 if it’s flipped, or 1 if it is staying the same. We also need to adjust the y offset value of the body if the wall is flipped to account for the scale change we made on the previous line. Finally we set the velocity.x of the wall to our SPEED constant. You’ll notice we make this value negative. That way it moves to the left of the screen giving the impression that the player is flying past it. This will allow us to get a reference to the wall instance being created every time we call the spawnWall() method. We need to test if this works, but we’ll need to add a little bit of debug code first. At this point we have the foundation in place for us to spawn the walls in our game. We’ll create a method to generate both a top and bottom wall as well as connect it up to a timer. Take note that we added a s to this function’s name since our spawnWall() function only generates a single instance. In the spawnWalls() function we are taking advantage of Phaser’s RandomDataGenerator class. You can access it from the game object by calling this.rnd. This utility has a lot of useful methods for helping create random values in your game. We’ll be taking advantage of integerInRange() which requires a minimum and maximum value to return something in-between the two. Finally to keep the walls within the screen area we calculate the “safe” zone were we would want our walls to spawn by taking a percentage from the top and bottom of the visible area. Step 5. Refresh your browser and you can now fly through an endless supply of walls being randomly generated at a set interval. Everything is looking good but there is just one minor issue. While you may not see it, the walls that have moved off the screen are still in the game. We need to do a little bit of cleanup to make sure that we destroy any wall that is no longer visible. Remember back to when we set up our walls in the group? This forEachAlive loop allows us to easily iterate through all the wall instances inside of that group still active in the game. From there we setup a generic function to test if the instance’s x position is greater than the game world’s bounds.left value so we can destroy it. Calling kill() on an instance completely removes it from the game and from memory as well. Without this function, the game would have a memory leak which would cause performance issues and a poor user experience. Phaser also has some really great pooling classes but for this intro level tutorial we’ll just do this manually. The game is simple enough not to worry about the extra overhead we incur by creating new wall instances from scratch. This ensures we get a clean slate when starting the game over. And while we are on the topic of starting over, you may have noticed that the walls still scroll by when the game is over? This function will iterate through each wall instance and set the velocity.x to 0 to stop it from moving. We also stop the wallTimer to make sure nothing else gets created while the game is over. Step 4. Run the game and make sure that the walls stop when game over before continuing on. Now that we have walls, we can define what happens when a player hits a wall. 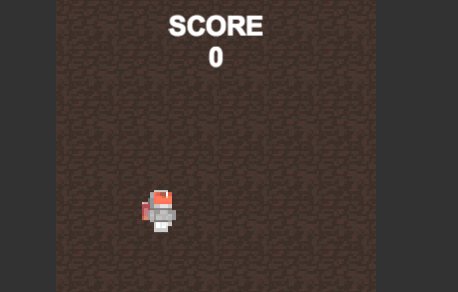 Luckily for us, collision detection is really easy to implement in Phaser. This tells the physics engine to test for any collisions between two game objects or in this case a single object, the player, and the walls group. The next parameter is the callback the collision check should trigger if an overlap is detected. Finally, we need to pass the game’s scope to the callback parameter. Step 2. At this point, everything else is already setup for us to build the game over state. Now if you test the game, you’ll see the game ends when the player touches the walls. Step 4. Run game and you’ll see the player no longer bounced back because we set the velocity.x to 0 when the game is over. In this section, we learn how to add a function that increases the score when a player flies through the walls. To get started, we are going to need a way to determine if the player has flown past a wall, and then give them a score for it. Here you can see we are getting a reference to a wall instance, adding a score and updating the score text. One thing to keep in mind is that since we have 2 instances, a top and bottom, that make up a single wall we only add half a point to the score. As the player flies past each wall section they will add up to a single value of 1 and the player will not even notice. Step 3. Now you can refresh the browser and as you fly through each section of wall you’ll see the score increase by 1. We now have a functional game. The only thing missing is fun – we need to add some sound effects to round out the playing experience. Step 4. Now if you run the game and make the player fly, you should hear the sound. One thing to keep in mind is that each browser supports specific sound codecs. If you have any issues running the sound effects, make sure you are in Chrome or a browser that supports .wav playback. Step 7. Now that we have the rest of our sound effects integrated, we can refresh the browser and test. You should now hear sounds when the player flies up, scores and dies. At this point the game is basically done, and hopefully you’ve learned how some of the core mechanics of Phaser work. To recap, we have covered importing assets, creating sprites, managing collision detection and playing sounds. There are a lot of really great resources out there to help you as you dig deeper into the Phaser framework. Make sure you check out the documentation as well as the samples included with the source code. Also, feel free to take my existing codepen project and fork it to create your own variation of it. Sign up for free for an Amazon developer account and submit your game. Phaser has a built in preloader library. Over the course of this tutorial we will be loading in images, sprite sheets and audio files that will be accessible globally within to our game. You do not need to follow this step if you are using CodePen since the same files are being hosted online. Remember to do this for any external asset we preload in our game. Before we move on, let’s talk about what is happening here. First, you’ll notice that we are calling Phaser’s built in game methods via the this scope. That’s because when our state is loaded up it assumes the same scope as the game object itself. This will allow us to call all of Phaser’s built in methods directly. Next, there are two parts to our load.image call, the unique id of the asset itself and the path to the asset so Phaser knows where to load it from. This is similar to our load.image request except we have to define the width and height of the sprite. This allows Phaser to have the correct dimensions it needs to cut up our sprites into separate frames for animating later on. Phaser also supports loading texture atlases as well if you prefer to package all of your artwork into a single graphic but we will not be covering that in this tutorial. Step 4. To test that this is working correctly, go back to your browser, refresh the page and inside of network connection debug tool you should now see that all of the game’s assets are loading correctly. 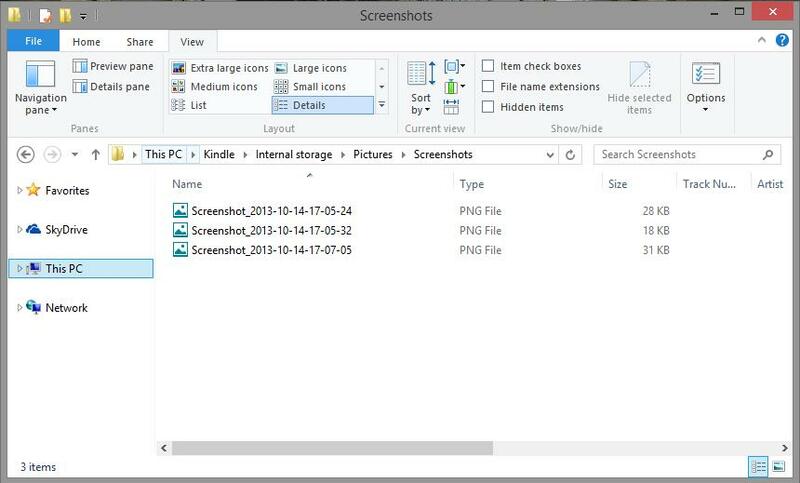 Now that we have our images, let’s look into how we can display them on the screen. 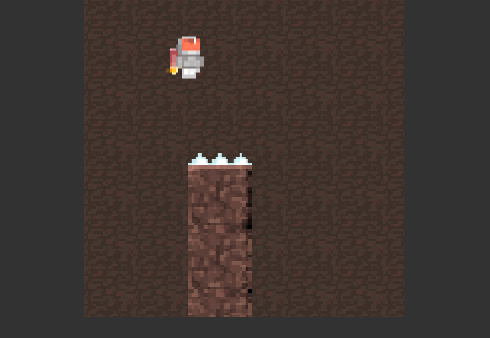 Adding images and sprites to the display is very easy in Phaser. 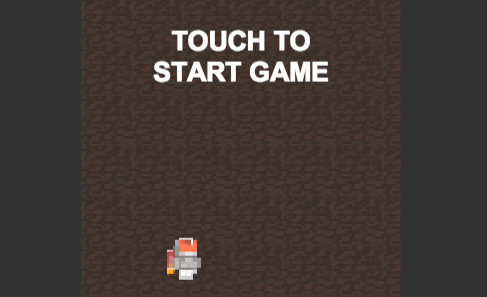 To get started we are going to create our game’s background then make it scroll before adding in the player. Here we are setting up a new background variable and assign it a TileSprite by calling this.add.tileSprite. The method requires x, y, width, height and label values. Since this texture will take up the entire screen, we are just going to set its x and y value to 0,0 and the width and height to the world’s width and height. This SPEED value will now be a global in our game and help keep everything in sync. Step 4. At this point we have enough to see the background scrolling by based on our SPEED constant. Refresh the browser to see the background scroll. Here we are creating a sprite instance from the sprite sheet image we previously loaded. Once we set the player sprite up we are going to create our fly animation. We do this by simply calling animations.add on the sprite itself and supply: a label for the animation, the frames, the amount of milliseconds between each frame and if it should loop. In most physics engines, a physics body represents the actual object collision area. It’s easy to define a downward pull by adding gravity to the y value of the player’s body object. Also, by setting the player.body.collideWorldBounds to true we tell the physics body that it should be constrained by the boundaries of the game’s world so the player doesn’t fall off the screen. Now that we have a player and our background, let’s get started adding in a way to play our game. As we build this out, we’ll be taking advantage of the single state of our Phaser game so we’ll need to set up variables to represent the game modes to let us know when the it has started and when it is over. In order to do this we’ll need to create a function that will reset all of our games values first. It’s important to note that you need to add a trailing comma to the previous function as you continue to add new functions to the game’s state object so we don’t get an error. Now we have a convenient way to reset all of our game values at anytime by calling the reset() function. Not only will this help us get the game ready in the create() function but later on in the when we want to restart the game. Here you can see that we are turning off our player’s gravity, resetting his position and setting the animation to fly. Here you’ll notice that we are now to multiplying the SPEED constant by .80 which will slow it down a bit and give us a nice little parallax effect when we add in the walls later on in the tutorial. Here we test if the gameStarted value is true, which means the game is running. If it is false we know that we are in the intro loop. 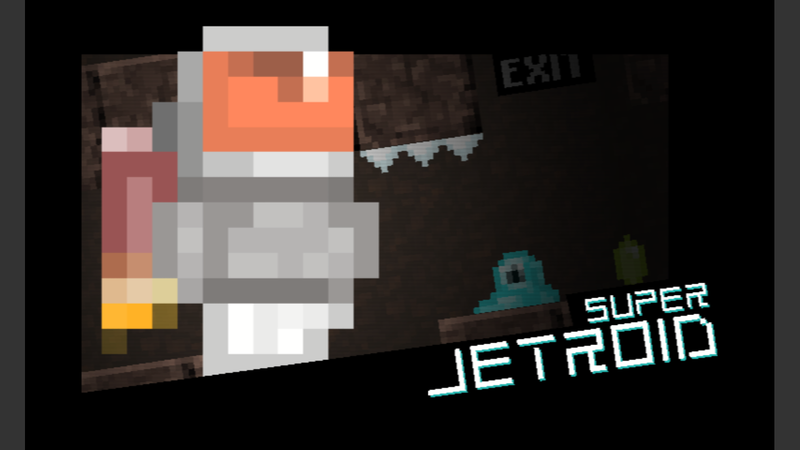 During the intro loop we are going to automatically move the player sprite up and down like he is floating until the player starts the game. You can see that we use Math.cos to modify the y position of the player over each frame, which will give us our up and down motion. Step 7. Refresh the game in the browser and can see the effect. At this point we have our intro loop but we don’t have a way to let the player know what they should do next. We’ll create some text that will not only tell the player how to start the game but also will be used to display the score when the game is running. As you can see, Phaser supports canvas text and also embedded web fonts if you have them loaded up into your page. To keep things simple we’ll just use the default font, which is Arial. Here we are setting the x and y position of the text, passing it an empty string to start with and defining an object for how the text should be styled. You can use \n to create line breaks in your text. While we can now see our start text, you’ll notice that it’s off center. We can use a built-in feature of Phaser that allows us to anchor elements. This will center the anchor position of the text object which helps give the impression that it is properly align when displayed. Now that we have our intro loop complete, let’s look into how to start our game. In this section we are going to wire up our game to start when the player presses the mouse button and if the game is running, we’ll make our player fly up. Just like we did before, make sure you remember to insert a comma before you add this function. When called, this will enable the player’s gravity again. Next, we change the display to show the score and set the gameStarted flag to true. Here we are testing if the game has not started when the function is called. If the game is in the intro loop mode, meaning that gameStarted is false, we call start() to begin the game. If the game is not over, we also change the velocity of the player’s body. By changing the velocity.y value we immediately send the player flying up. You’ll notice that we are applying a negative value to move up. Now we just need our JET constant. Phaser handles the mouse input for us by allowing you to easily bind the onDown event to a function, in this case jet(), and supply a scope for the callback. This last bit is critical for maintaining scope in your game as you bind events. By passing this along with the reference to the jet() function we can safely reference properties in the game state like we have been in other places of our code. Step 5. Now we are ready to refresh the browser and test out flying up and falling down. I usually tie all of my animations to the game object’s physics, in this case testing the value of the player’s velocity and updating the animation to reflect that movement. You’ll note that we set the fall frame number manually to display when the jet is off. It’s not critical to create a one-frame animation if you know the correct sprite ID. We now have everything we need in order to run our game, with the exception of detecting when the game is over. Here you can see we are testing to make sure that the game is not over. This will keep the setGameOver() function from getting called continuously when the player touches the bottom of the screen. Once we verify that the game is not over, we test to make sure the player’s body is above the bottom of the world bounds. Phaser has several shortcuts for getting values from game objects. Accessing the .bottom property keeps us from having to manually configure the player’s dimensions. Here you’ll see that we set the gameOver flag to true, change the text to reflect that the game is over and stop the background from scrolling. Step 3. At this point we have enough logic to actually test that our game can end. Refresh the browser and let the player fall to the bottom of the screen. Now we need a way to restart out game. You’ll notice that we are testing a new variable called timeOver. The basic idea here is that we are creating a simple delay between the time that the game is over, and when the player can click to restart. At the end of most game sessions, the player is frantically clicking away before they die to try and extend their session. Without a delay before restart, the player would accidentally restart the game without seeing their final score. To overcome this, we’re going to test that 400 milliseconds have passed before we actually let the player restart the game, giving them just enough time to see their final score. By saving out the current game’s time.now value we are able to track how many milliseconds go by before we allow the player to reset the game. Step 6. Refresh browser and give it a try. You should now be able to fully start, end and restart the game. Our game is starting to come together. We have sprites on the screen, we are able to control the player to make them fly, we have an intro loop, the game, and a “game over” state to manage. 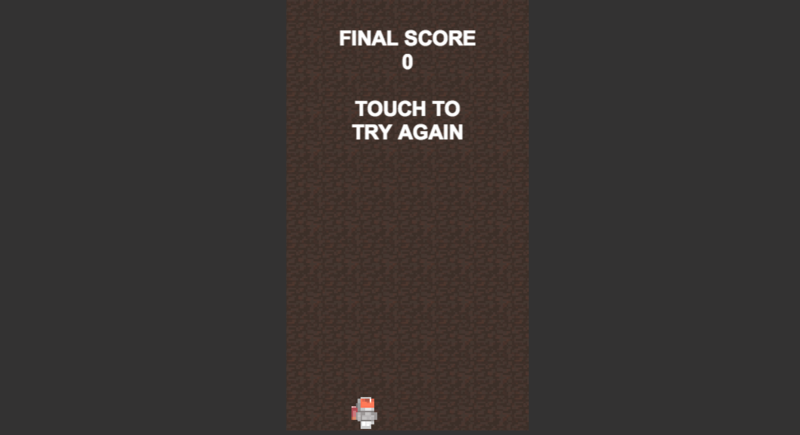 Coming up next we will add in our obstacles, add collision detection, score, points and talk about publishing our game. Before we dig into the code, you can check out the live demo of the game here. The next three sections will walk you through three different configuration options: CodePen.io, NodeJS + Grunt and Apache local server. Simply pick the one you feel the most comfortable with, and once you have your environment configured you can move ahead to setting up Phaser itself. It’s important to note that each of these development options have advantages and disadvantages. Which option you choose depends on your technical comfort level and your past experience building HTML5 content. Sometimes the hardest part of making an HTML5 game is setting up the development environment. To help make this as easy as possible, you can actually use an online code editor such as CodePen.io in order to run all of the code we’ll cover in this Introduction to Phaser tutorial. The advantage here is that you don’t have install anything on your computer. The disadvantage is that you will not be able to really publish and share your game; you’ll still end up having to host it online somewhere else. This means, you’ll need to rewrite the code to be standalone which I will not cover in this tutorial. Here are instructions for setting that up. Step 1. You will need to create a new account on CodePen.io. This will give us an empty div where we can put our game. This will represent our default CSS for the body of the page and the game div itself. Step 6. At this point we are done with the basic configuration, so make sure to minimize the HTML and CSS windows so you have a larger place to work on your code. This allows you to bypass the cross-domain issues you normally get when loading images from severs on a different domain. At this point we are ready to move on so you can skip the next two sections on setting up the project locally with NodeJS and Grunt or Apache. I am a big fan of having an automated build process when I develop HTML5 games. For all of my projects I use NodeJS and Grunt. This automated build process will compile the game’s code into a single JS file for you any time you make a code change and hit save. The workflow also sets up a temporary server to run your game locally and even opens your browser to the correct URL making the entire setup and development process dead simple once it’s fully configured. To help you get started I have created a Phaser Template Project which you will need to download in addition to NodeJS, Grunt and the project’s dependent modules. The following steps will walk you through this process from scratch. If you already have node and grunt installed, simply skip ahead to step 2. 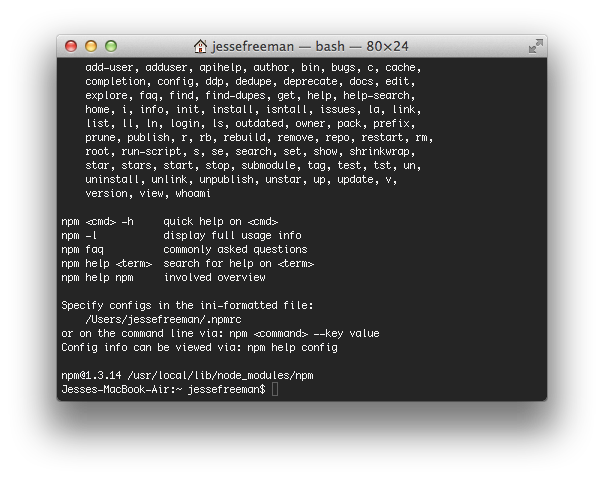 This means that NPM (Node Package Manager) is installed and you can continue on with the rest of the setup process. Step 3. At this point you have everything you need to support the automated workflow. Next you’ll want to download my Phaser Project Template from https://github.com/gamecook/phaser-project-template and unzip it on your computer where you do your development. Step 4. Let’s go ahead and rename the Phaser Template Project to phaser-demo. Step 5. Now we need to install the project’s module dependencies that will allow us to run the Grunt build script. Open up the command line and navigate to the project folder. Once inside, type the following command. If you get an error for any reason, simply re-run the command again. Once the command is executed your browser should automatically open showing you the default project page and display the current Phaser build version. 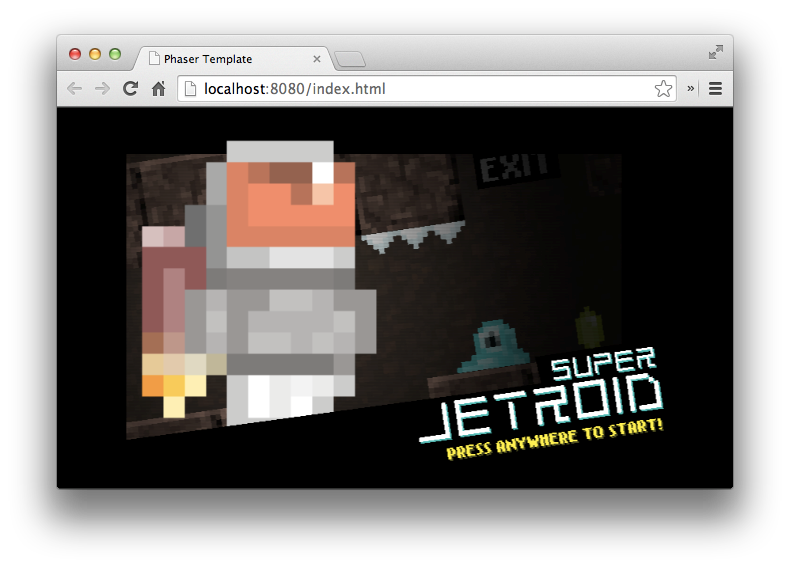 This template project has everything you need to build your own Phaser game. You’ll find the game’s source file in the src/game folder called main.js. Phaser’s source code is inside of the lib folder. 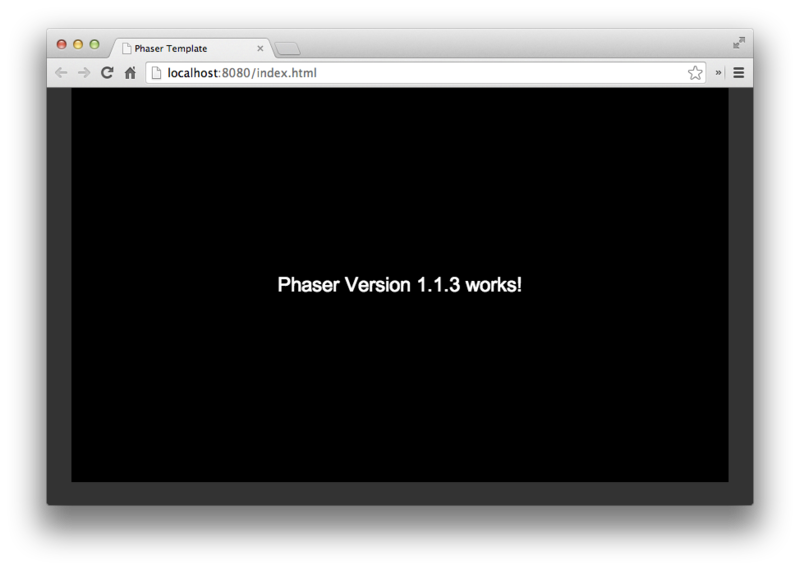 You can update Phaser on your own at any point by simply replacing the phaser.min.js file in that folder. Just be careful because newer versions of Phaser may break your game’s code. Since this project is pre-configured to display the Phaser version number, you will want to open up the main.js file and delete all the code inside of it so that it’s blank before you get started building your new game. Now you can skip ahead to the Setting up Phaser section of the tutorial. 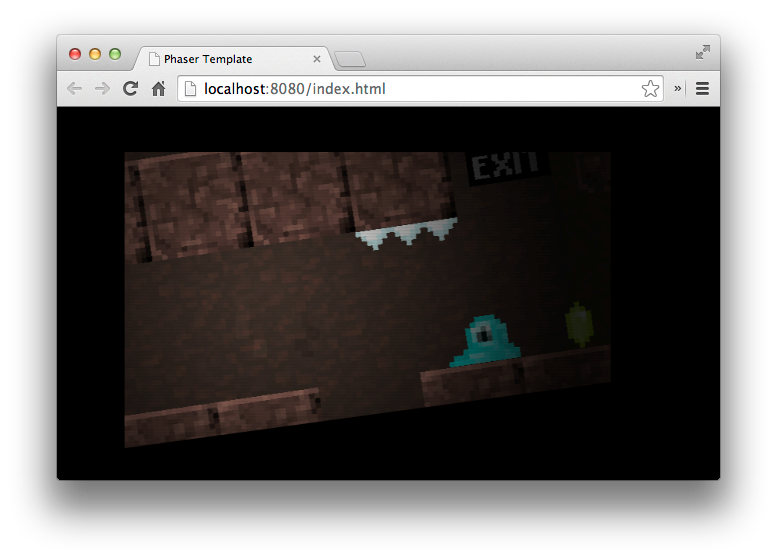 Phaser is just like any other HTML/JS project you have ever worked with. If CodePen and NodeJS/Grunt are not your thing, simply run the game from Apache or any web server you are familiar with. Let’s look at how to setup the Phaser Project Template from the NodeJS configuration setup inside of Apache. Step 2. Once Apache is installed and running, you will need to download my Phaser Project Template (https://github.com/gamecook/phaser-project-template) and put it in your Apache’s web root. Step 3. 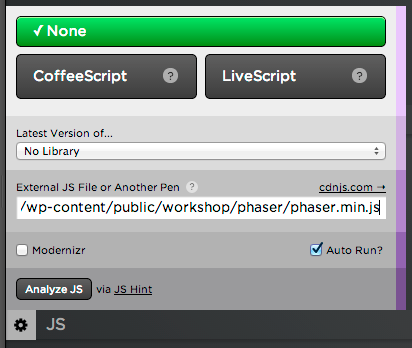 Now you will want to move main.js and phaser.min.js from src folder into deploy/js folder. Since we are not automatically compiling these two files, we’ll just manually set them up like any regular script tag reference in an HTML file. Note that your url may be different depending on what port your Apache is configured to use. You may also see a different Phaser version number than what is displayed above. As of this writing, Phaser 2.0.3 is the latest build. Step 6. Now that everything is working, open up the main.js file that should now be located in your deploy/js directory and delete everything inside of it. Then you’ll be ready to start the tutorial in the next section. The hard part of configuring our environment is now behind us and it’s time to build our first Phaser game. Step 1. At this point you should have an empty main.js file if you are using the Phaser Project Template or an empty JS window in CodePen. Phaser uses a notion of “states” to represent each screen of your game. Think of the state as a place to keep all of the logic that belongs in that scene. Phaser will take a state and wire it up to the main game engine to run your code. When creating states, we’ll take advantage of a few functions such as preload(), create() (which is run first when a state is created and done preloading), and update() (which is run before the draw call). While Phaser has other state functions available, we’ll only be focusing on these three main ones for this tutorial. 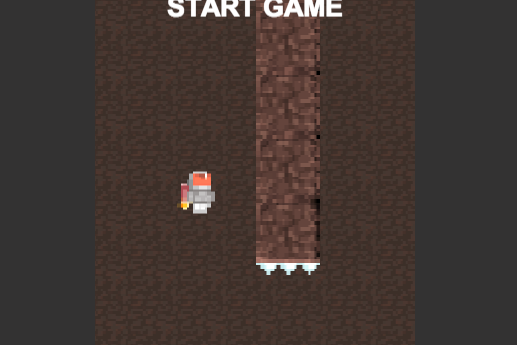 This will represent our Phaser game. 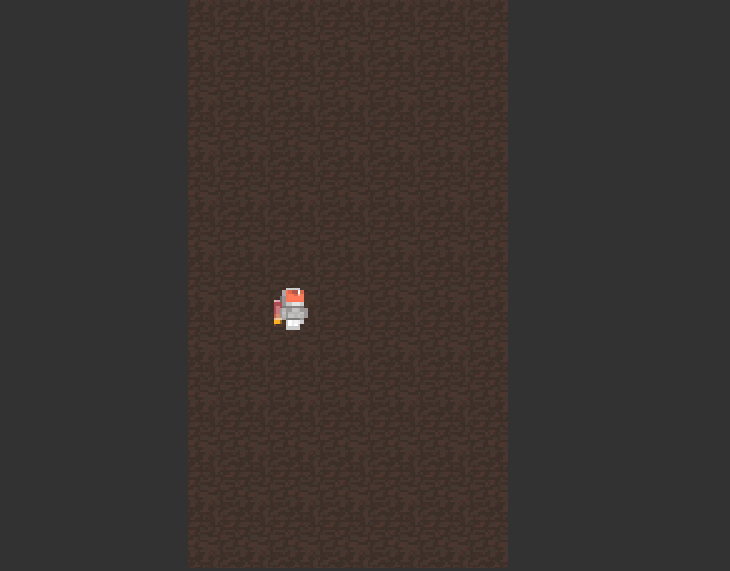 Here you can see we are creating an instance of Phaser.Game as well as supplying the width and height. We are going to set the render mode of Phaser to Phaser.AUTO. 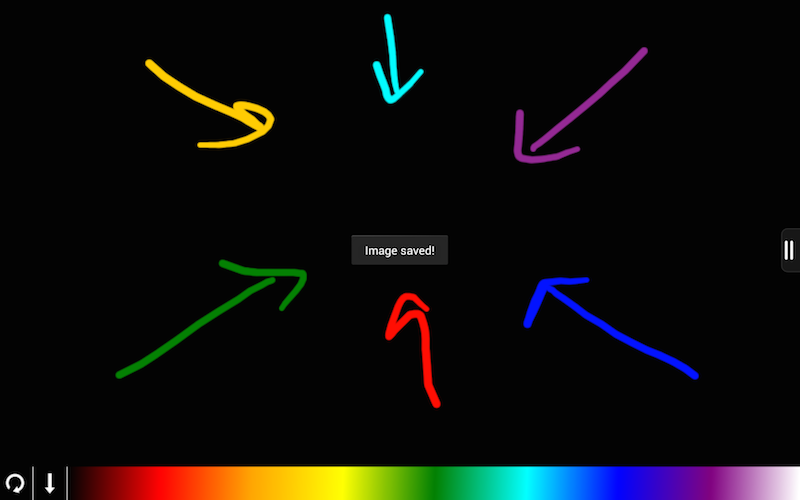 This will detect what rendering options your browser supports and either run the game with WebGL support or call back to software based 2d Canvas. Finally we define the name of the div where our game should be created as well as pass in a reference of the initial state object. Step 4. Now you are ready to refresh browser. You should see that we simply have a black box representing where our game will eventually go. At this point you should now have a stable work environment for building Phaser games as well as the initial game code setup to build upon in the next parts of this tutorial. Coming up next, well talk about preloading, displaying images and building out some basic game mode logic for starting, playing and ending our game. In a world quickly moving toward mobile device adoption, there is a growing pressure for web developers to learn new languages in order to adapt to the ever-changing landscape of content delivery. For the past 16+ years, web has been the king of mass distribution. But now as app stores on mobile devices are driving huge monetization opportunities, how do web developers stay competitive in this new “post PC world”? The key is to understand how you can maximize your web app’s potential in the distribution vs. monetization model. The distribution vs monetization model. The concept is that the larger your distribution base, the better your chances of monetization are. 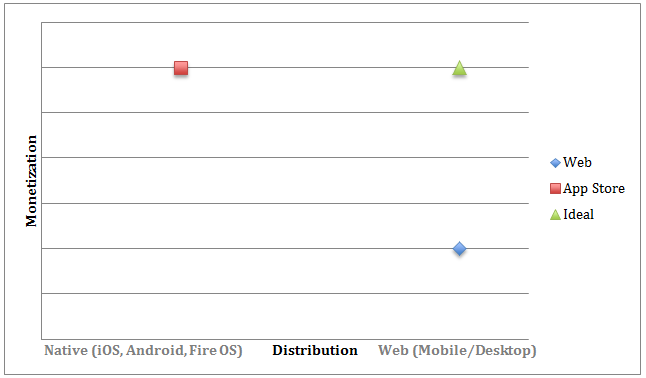 Along the far side of the x-axis is the native mobile and tablet space, which is fragmented around several different platforms, and the individual platform distribution potential is much smaller. On the flip side, since all mobile devices and computers have web browsers, an online web app’s potential reach is staggering. The reality of this however has been that even with the smaller distribution of mobile, developers are seeing much higher opportunities to monetize on those devices. On the web, we have seen more difficulty to monetize that content without the help of built-in systems like IAP (in app purchase) or integrated checkout, which are generally available on native devices through their app stores. The ideal solution would be to actually target both demographics, and the only platform we have seen that is capable of effectively doing that is HTML5. When most developers hear “scaling a web app” they instinctually think about the backend or server side of things. But over the past year as responsive design has come into its own, we are finally seeing websites that can not only run on desktop browsers but elegantly reconfigure themselves to accommodate all the different viewports users are visiting with. The most common responsive design resolution breakpoints. The forethought that goes into building a truly responsive design that flows correctly from desktop to mobile phones is no small task but the opportunity for capturing the largest possible distribution is worth it. Gone are the days of splitting off your web traffic between a mobile only site and a desktop site because the cost of maintaining both grow exponentially. But what about still reaching native app stores? But What About Still Reaching Native App Stores? Some of the current solutions on the market for publishing HTML5 content next to native apps have revolved around the PhoneGap/Cordova model. 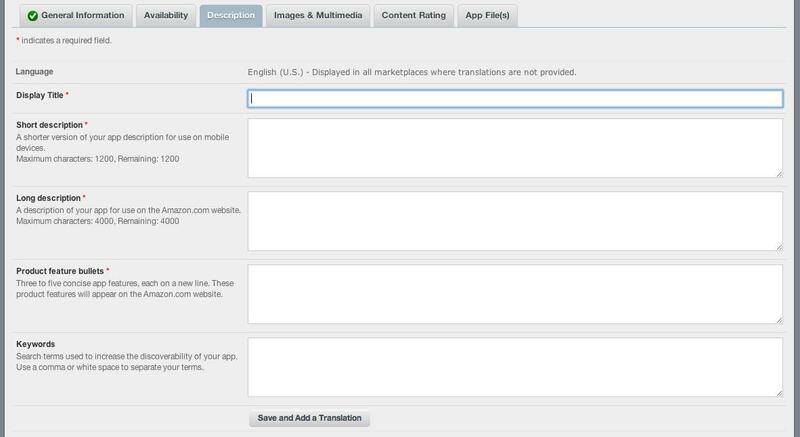 These allow the developer to package the web app and submit it to a native app store. But there is one glaring downside to this kind of distribution; you lose the ability to maintain a single codebase. In an ideal world, you would want to simply redistribute your online app in a mobile store and keep the two in sync. 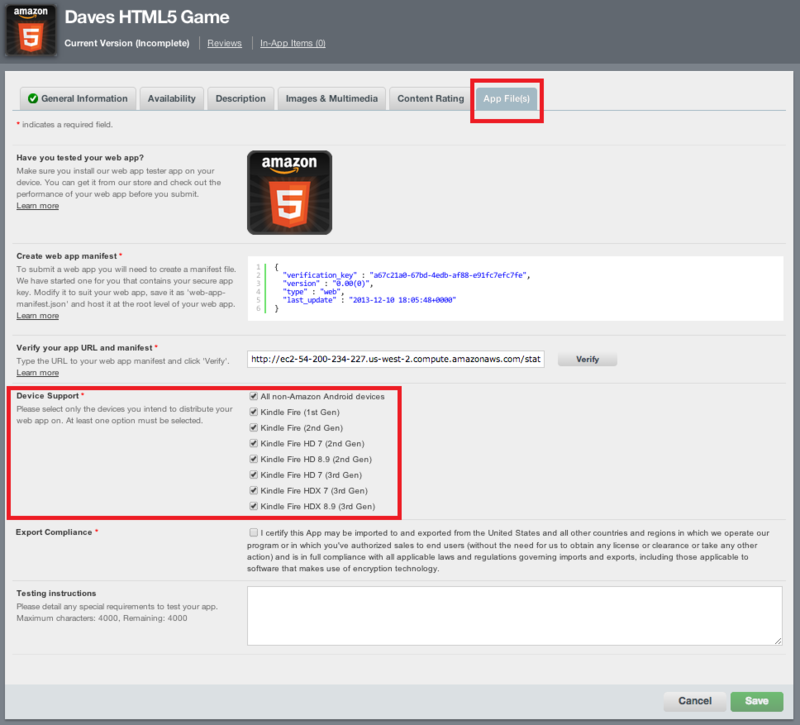 This is some of the thinking behind our HTML5 web app resources for Amazon Appstore. The last thing a developer would want to do is fork a project and end up maintaining multiple code bases to support each platform it is distributed on. So why not just keep your content online where it will get the largest potential for distribution and still submit it to an app store that offers you an entirely new way to monetize it? This is a fairly new publishing model that has been growing more and more popular over the past few years. It offers the best of both worlds since you maintain a single place were your web content can live and you gain the added benefit of being able to distribute your app in a native store. With that distribution comes the potential of increased monetization by simply charging for the app, using IAP or continuing with your current ad based model. The best part is that you can experiment with this new type of distribution today in the Amazon Appstore with our HTML5 Web App Tester. Simply download the app, point it to your site’s URL and test out how your web app works. From there it’s easy to submit to the Amazon Appstore and begin reaching a whole new audience. In August of last year we enabled HTML5 developers to publish hosted web apps next to native Android apps in the Amazon Appstore, making HTML5 web apps discoverable to millions of Amazon customers. Starting today, developers can set a list price for their web apps, giving them another way to monetize web content to Amazon Appstore customers in nearly 200 countries across the globe. 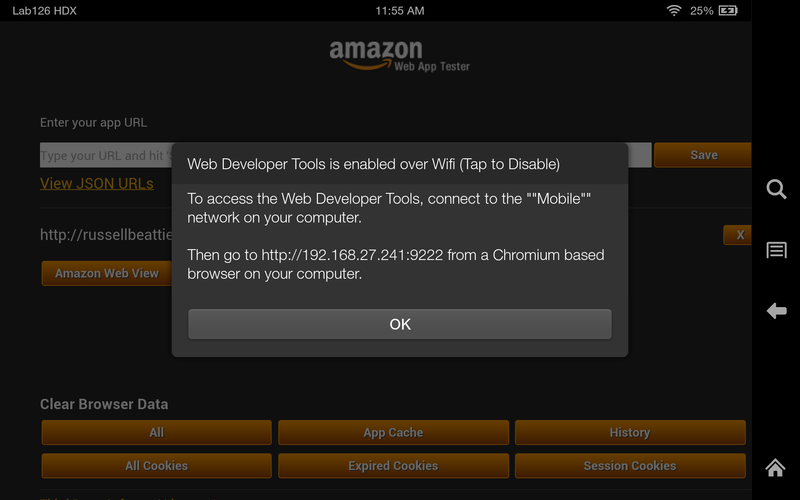 Prior to this update, web apps published to the Amazon Appstore were automatically set to free. In the latest update developers can now set a list price in specific currencies based on the local markets they’re publishing their web apps to. This is great news for developers looking to publish their first web app to the Amazon Appstore, and the feature is now retroactive to all web apps that have already been published. That means existing developers simply need to log into their Developer Account to see an updated “Availability & Pricing” tab with the option to charge for the app. Now with the ability to set a price for web apps in the Amazon Appstore, HTML5 developers can take part in our Free App of the Day (FAD) promotion. For developers not familiar with this program, qualifying apps gain greater exposure that could drive significant traffic to their apps. Opting into the FAD promotion and being selected enables us to work directly with the publisher to be featured in some of our most visible marketing placements. This includes placements on mobile devices, Kindle Fire, and the Amazon Gold Box Best Deals page, which are complemented by social media exposure including Facebook and Twitter announcements. These placements and the exposure they provide can drive significant traffic to the featured apps and allow the developers to grow their install base quickly. To learn more about qualifying for the Free App of the Day program, check out this post on how to get approved, and make sure you opt to have your web app considered for the program during the app submission process. 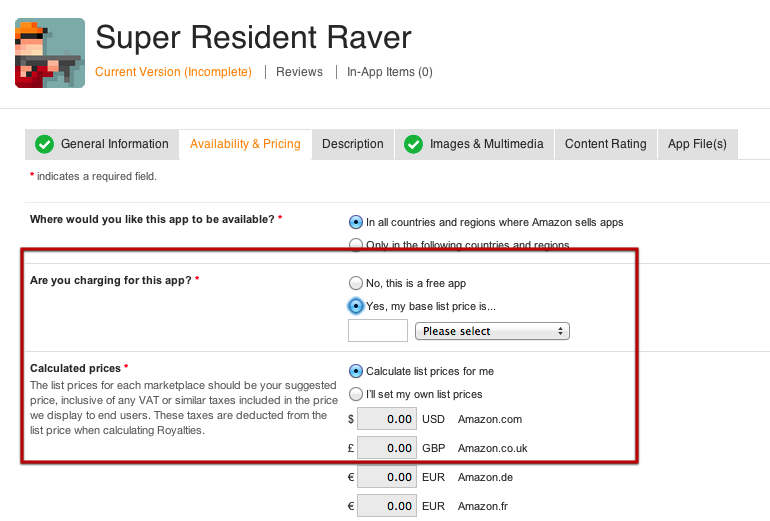 To republish an existing app as paid, simply edit the ‘Availability & Pricing’ tab and enter a list price, which is already defaulted to free. The same list price changes can also be made to any submission set to “IN PROGRESS” that is waiting to be approved for release. The Amazon Mobile App Distribution Program enables developers to create Kindle Fire apps using existing HTML5 mobile web apps. It’s also a good way for web developers to start creating mobile apps using the skills and knowledge they already have. Back in December we covered how to get your existing web apps onto actual devices with a Webinar on Submitting HTML5 Web Apps to the Amazon Appstore, and companion blog post focusing on setting up the Amazon Web App Tester to debug and test your apps. We wanted to follow up with some more details to help you get the most out of the tester, which is a key part of the HTML5 web app creation process on Kindle Fire tablets. 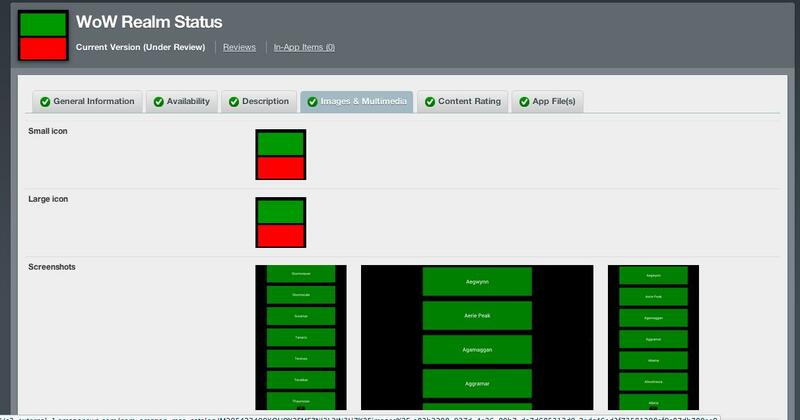 The Web App Tester has a variety of powerful features which can be used to make development faster and easier. Below are a few ways to best take advantage of all that great functionality. What exactly is Amazon's Web App Tester? It's a downloadable app which lets you test your web app in a production-like environment on your Kindle Fire or Android device, without first submitting it to our store. The tester contains the same web engine and libraries that will run your web app when it is wrapped into a downloadable app. The tester however, has an interface that lets you enter in your own custom URLs, and most importantly, enables remote debugging for development and testing using your desktop computer. 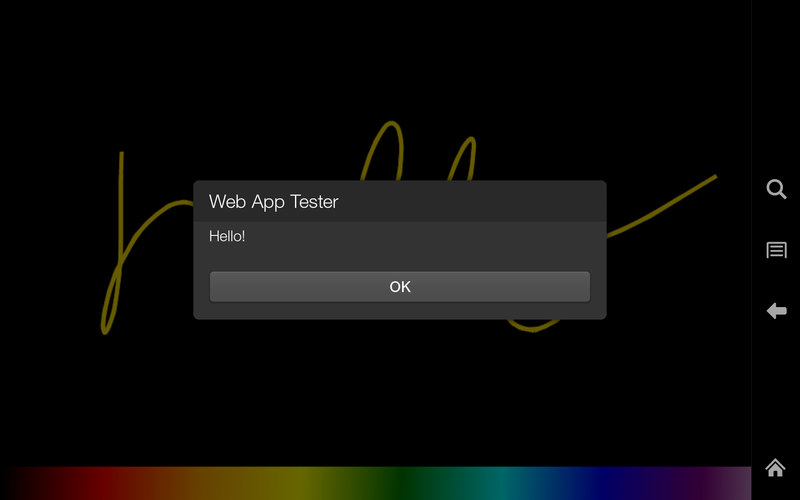 Because the Web App Tester is based on the same technologies as the final wrapped app, you should be able to better assess your app's performance and functionality - and more quickly work through any problems you might encounter - on the device itself, rather than via an emulator or simulator, which may not be as accurate. If your device and your computer share the same network, you can enable Web Developer Tools for debugging over WiFi. 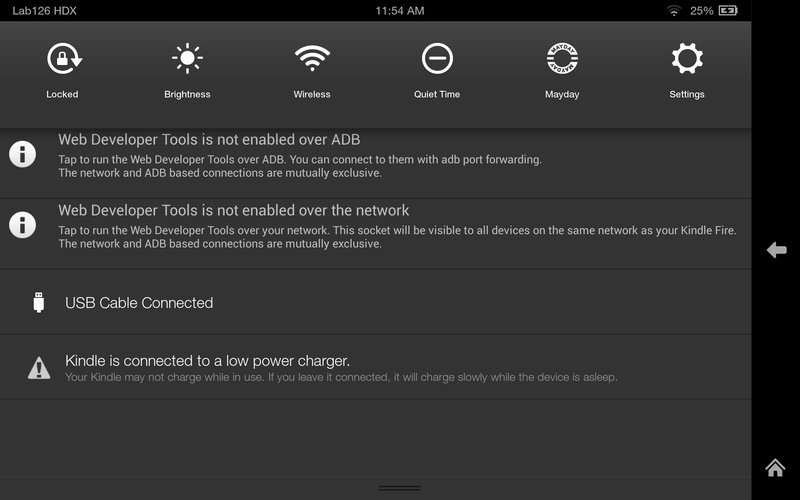 If you're on a corporate network, or want to test aspects of your app including offline functionality or WLAN speeds, you can connect via USB using ADB. Helpfully, the Web App Tester gives you all the details you need to enable Remote Debugging once you start the app. 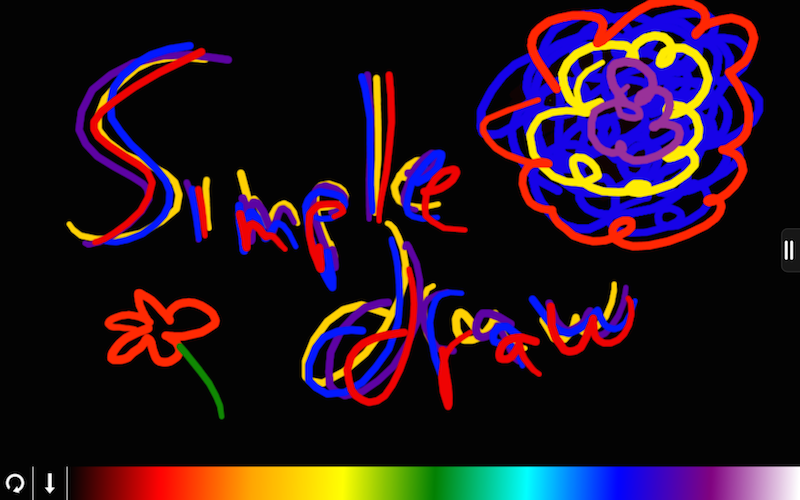 Simply click the full screen handle at the bottom or side of the screen, and swipe down. 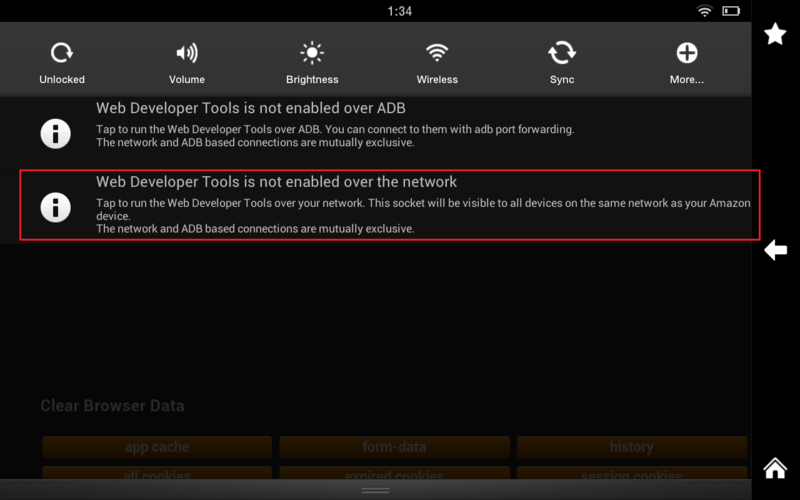 There you'll see options to enable remote debugging using ADB or via your network. Close that dialog, enter the URLof your web app to test and you'll be all set to debug via a desktop computer. Once the Dev Tools page is open in your desktop browser, remote testing and debugging of your mobile web app should become as familiar as doing development for desktop browsers. Here are some things to watch for. On Device Tools. First, note that all the normal functionality you'd find in Dev Tools is live, but running on the device itself. In fact the entire UI is a static HTML app served from the device, which then communicates back via Web Sockets. Viewing the network speed, recording the timeline activity or profiling is all happening with the device's hardware. Reload Shortcut. When doing development for a desktop browser, you may be in the habit of clicking the reload icon in the browser to refresh the page. Rather than exiting out of your app on the device, and then re-starting, you can simply type Command-R/Control-R inside the remote Dev Tools window to refresh the contents of the page on the device itself. Live Inspection. Just like on a desktop browser, you can use the inspect icon to help pinpoint elements on the screen within the HTML5 markup of your app - rather than clicking the screen, just activate the inspect icon, and then touch the screen to find that element within the Dev Tools. It goes in reverse as well, notice that as you use your mouse to hover over the markup in Dev Tools, the corresponding elements light up on the device. FPS Meter. In the Dev Tools, you can use the settings icon to turn on the FPS meter, which displays in the top corner of your device. This will let you get a live view of how fast your app is refreshing, without having to add in additional libraries. Because the Web App Tester's Dev Tools use the same remote debugging protocol as desktop Chromium browsers, they can be accessed not only from Dev Tools, but from text editors, IDEs or via scripting languages such as Python. 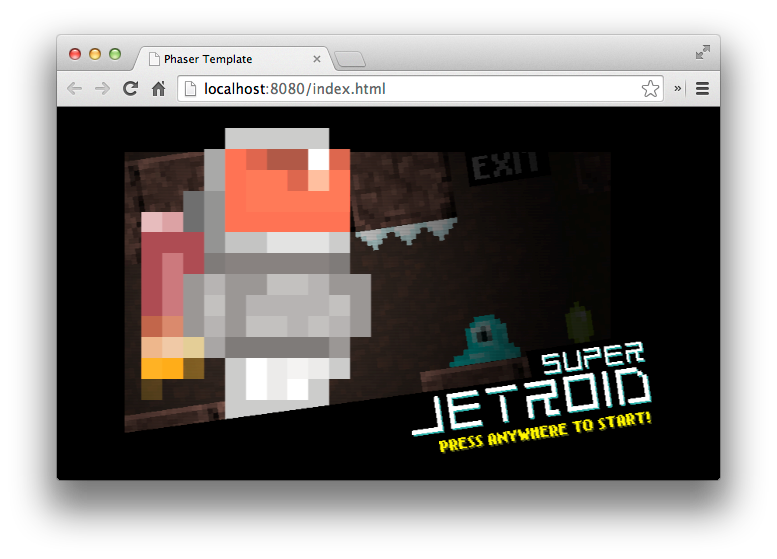 Here's an example using the chrome-remote-interface Node.js module. 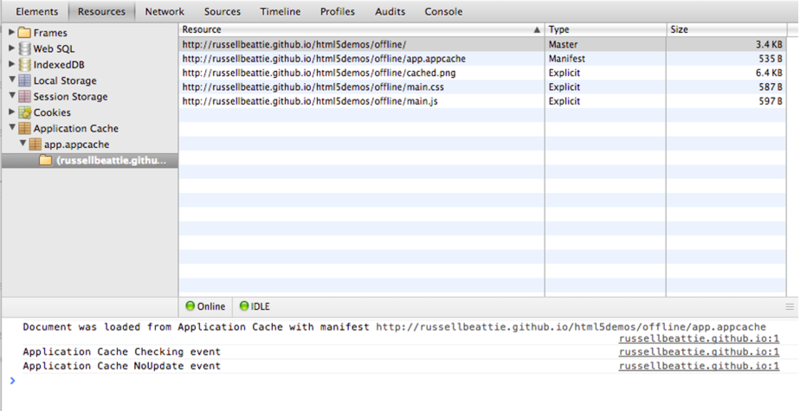 As you use your app on the device, you'll see events logged in your console as they fire. The protocol and module will also let you send commands to the remote browser, letting you automate testing on the device and recording the results. 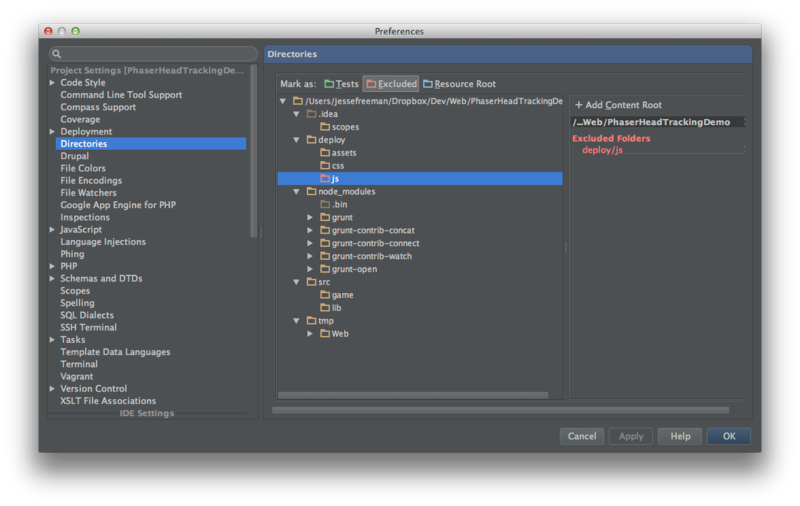 For more info, check out the Remote Debugging Protocol pages here. Hopefully some of these tips will come in handy as you're doing development for your web app, if you have any tips of your own or questions about using Dev Tools, definitely get in touch! Starting today all Web App submissions to the Amazon Appstore now support Amazon Device Targeting. While it is possible to detect and optimize your mobile websites server side, you may decide you only want to target your Web Apps to specific devices. 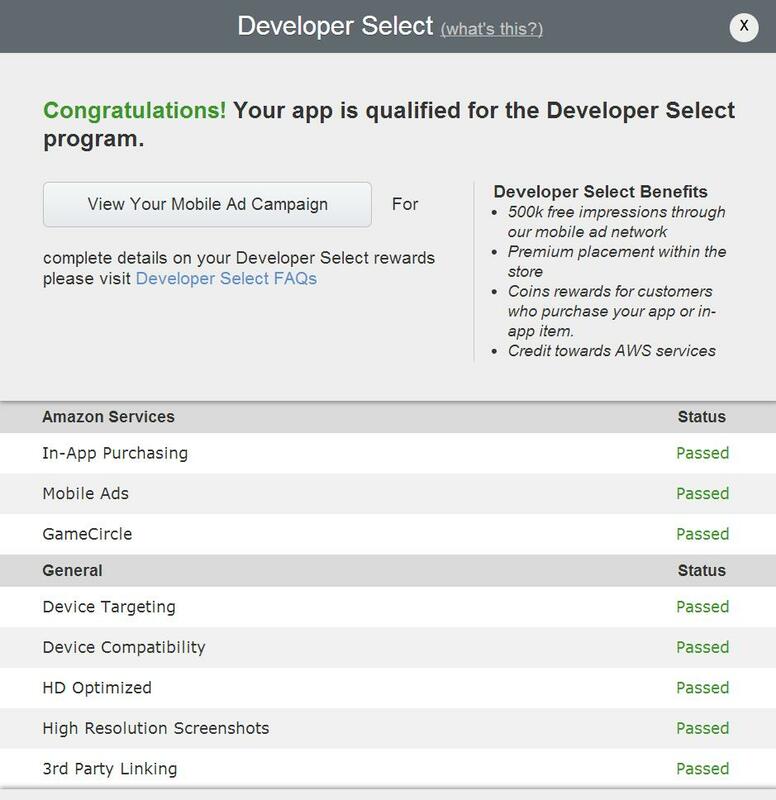 Web App submissions to the Amazon Appstore now allow the same device targeting capabilities that Android submissions do. This means you can elect to make your Web Apps available for download on Kindle Fire, Kindle Fire HD, Kindle Fire HDX, general Android (all non-Amazon) devices or any combination of these. By enabling device targeting within your individual Web Apps you can tailor your app experience to the specific screen size, density, and capabilities of Kindle devices. For example, you may decide to target only devices capable of the Amazon Webview (Kindle Fire 2nd generation and up) giving your Web Apps native-like speeds on Kindle devices. In the previous version of the developer portal you did not have the option of choosing the device on which devices your Web Apps would be available. By default your Web Apps would run on all Kindle Fire devices as well as Android capable devices. As of today, a new Device Support section has been added that will allow you to target any or all of Web App capable devices you choose. To enable Device Targeting in your Web Apps simply navigate to the Apps and Services, My Apps section in the developer portal, click on the title of your Web App, and then select the App File(s) tab. You can then select the individual devices you want to target. By default we will enable all Web App capable devices so be sure to uncheck any devices you specifically do not want to support. Once you click the Save button you will find a new list of all the devices you have selected to support. That’s it! By following these few steps you now have more control over which devices your Web Apps will run on, giving you the option to tailor your app experience to the capabilities of each device. The Amazon Mobile App Distribution program enables you to distribute your existing web apps on Kindle Fire and select Android devices in nearly 200 countries across the globe (including the US, Canada, UK, Germany, Spain, Italy, France, Brazil and Japan). In the recent Webinar on Submitting HTML5 Web Apps to the Amazon Appstore, we covered how to get your existing web apps onto actual devices and debug and test them. 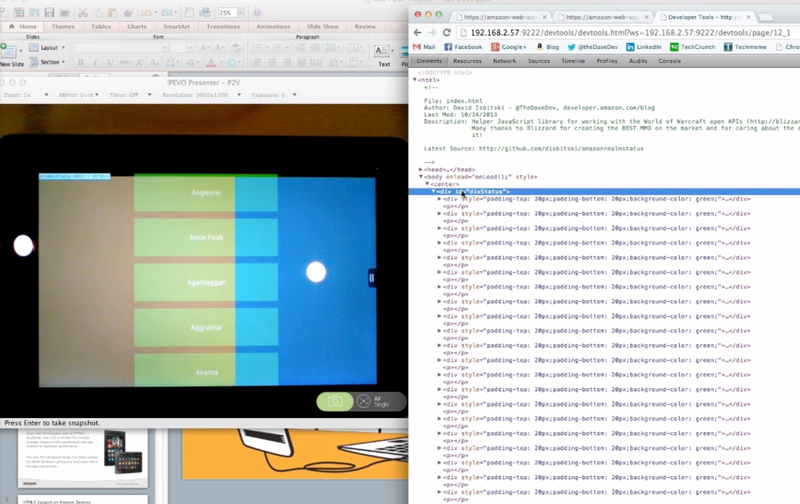 You can debug your HTML5 Web App in two different ways. • You can use your favorite IDE or debugging tools for normal Web App development like you are already doing. • Or, you can optionally use the Chrome DevTools to debug your web app using a Kindle Fire or an Android device running the Web App Tester Tool. Note: The Chrome DevTools, the Chrome Browser installation tool, the Android SDK and certain other development tools are provided by third parties, not by Amazon. The Chrome Developer Tools are freely available from Google and included in all the latest versions of the Chrome Browser. Simply select the Chrome menu at the top-right of your browser window, then select Tools > Developer tools to begin debugging. 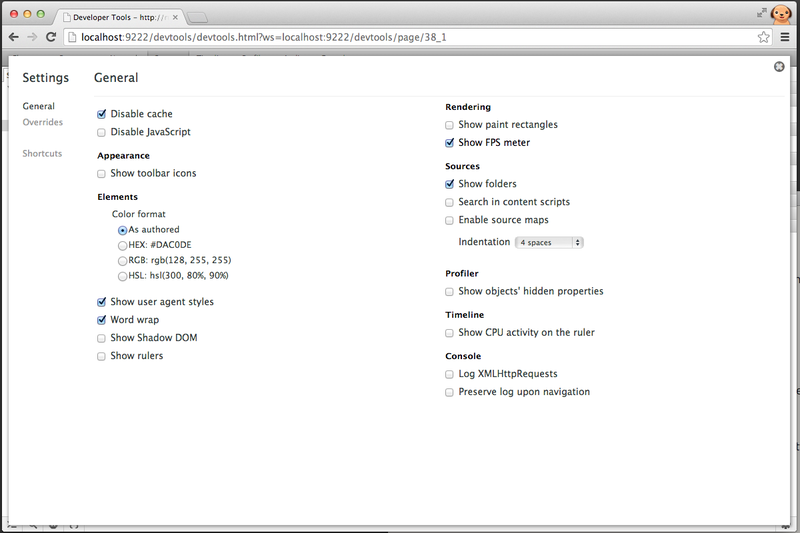 You can get additional information on installing the tools off the Chromium blog. The Chrome DevTools use the Android Debug Bridge (adb), part of the Android SDK tools, to communicate with the web app from your computer. 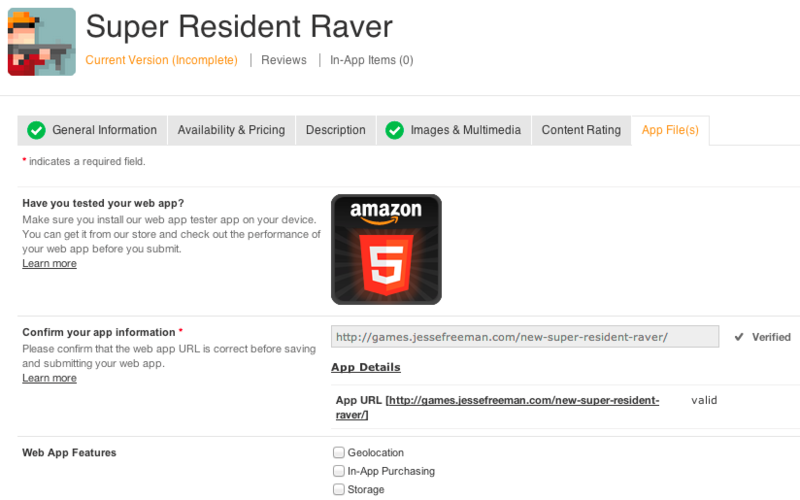 Next, we will need to install the Web App Tester Tool from the Amazon Appstore. This tool will allow us to create a bridge to our computer over USB or WiFi. Simply swipe from the top of the device (if on a Kindle Fire device make sure you tap the full screen handle on the bottom of the screen to open the status bar) and then swipe down from the top of the screen to display the Quick Settings Notification Area. Once there you will have the option to connect over either USB or WiFI. In this example I have selected WiFi and am given a url I can put into my browser to connect the Chrome Dev Tools to that running app. 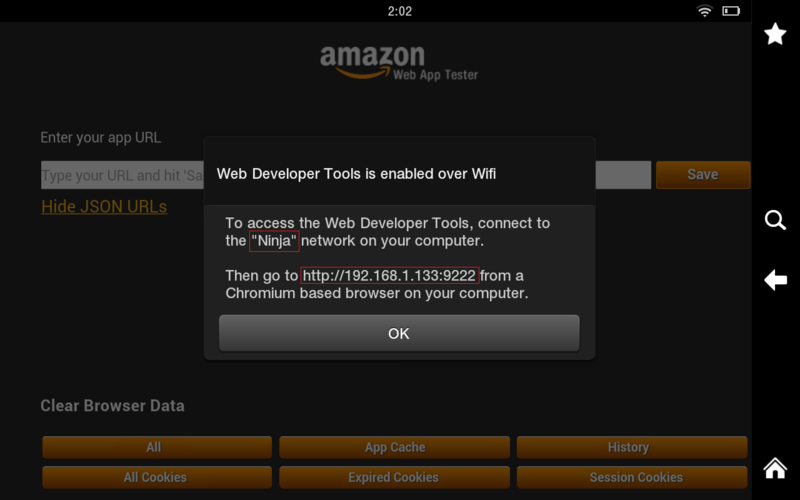 Here is a screenshot of a Kindle Fire running my Web App with the Chrome Debug Tools showing the source for my app. This enables me to now select actual <div> tags now in the html code via Chrome on my computer and see those <div> tags being highlighted on my actual device (as in the example below). For a complete walkthrough of the steps described here you can watch the short screencast below as well as checking out the web app debug documentation on our developer portal here. Today we have a video interview with the executive leadership of Tre Sensa (http://www.tresensa.com/) a NYC based game development and distribution company that optimizes games for the mobile web. In this video, they talk about their business and the importance of HTML5 in their goal to deliver apps to as many screens as possible. They also discuss their experience developing HTML5 apps for Amazon mobile devices as well as a talk about how they came to use Amazon Web Services to support their mobile gaming applications. We hope you enjoy this video interview with TreSensa.